Heffy Doodle Release Blog Hop! 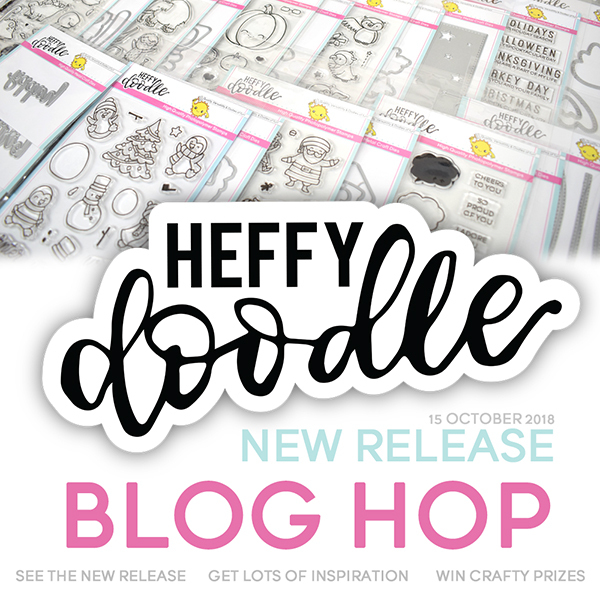 Thanks for stopping by today to join the fun for the newest Heffy Doodle release! 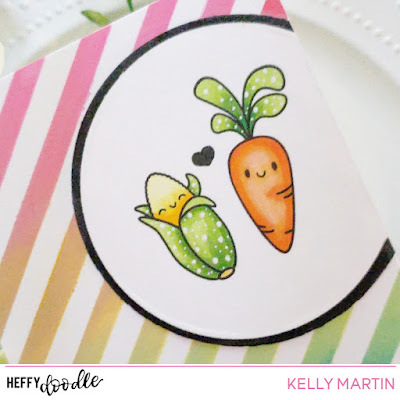 I've got a colorful project for you today that uses one of the new stamp sets and one of the new stencils in the release. So let's dive right in! I broke out my Distress Oxide inks and used the Heffy Doodle tape to adhere my stencil on to a piece of cardstock. Using an ink blending tool, I blended my oxide inks in a rainbow order on to my card panel. I stamped my images on to white cardstock and then colored them in with copic markers. I used a circle die to cut out the area of the panel with the images on it and then glued fun foam to the back. I adhered it to my rainbow card panel (off to the side), and then trimmed off the edge. I then created a black frame using two of the circle dies and black cardstock and then glued that down to the panel for a finished edge. Hop along to each blog post on the list and leave a comment for a chance to win a fantastic prize! Comments must be left by 11:59 PM PST on October 22nd, 2018. 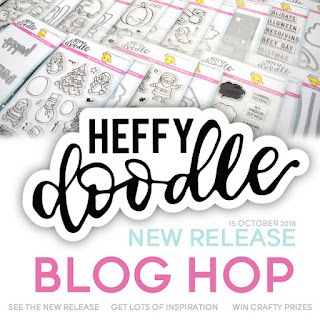 Winners will be announced on the Heffy Doodle blog by October 24th, 2018. Here's an additional awesome promotional that Heffy Doodle is running right now, too! Spend £30 to get a free Dinky Dino stamp set. If you spend £45, you can get the stamp and the die set for free! Thanks again for stopping by today and happy hopping! I absolutely love that background! Oh my goodness, this is utterly adorable, LOVE the cuteness! So sweet and super cute! Such a cute card ! So colourful and cheerful! Oh my goodness, this is so adorable! Awww!!! How cute!!! Love it!!! 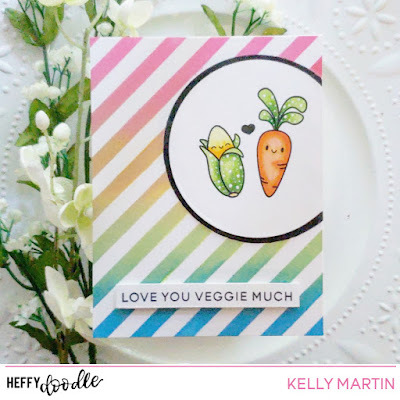 I love the rainbow background and how you colored the little veggies! A RAINBOW blended stripe background card! I am sooooo loving it! 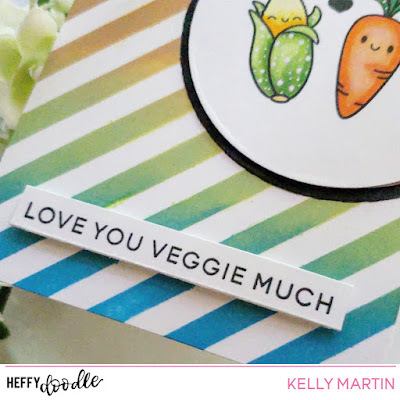 And your little veggie characters are just so adorable! 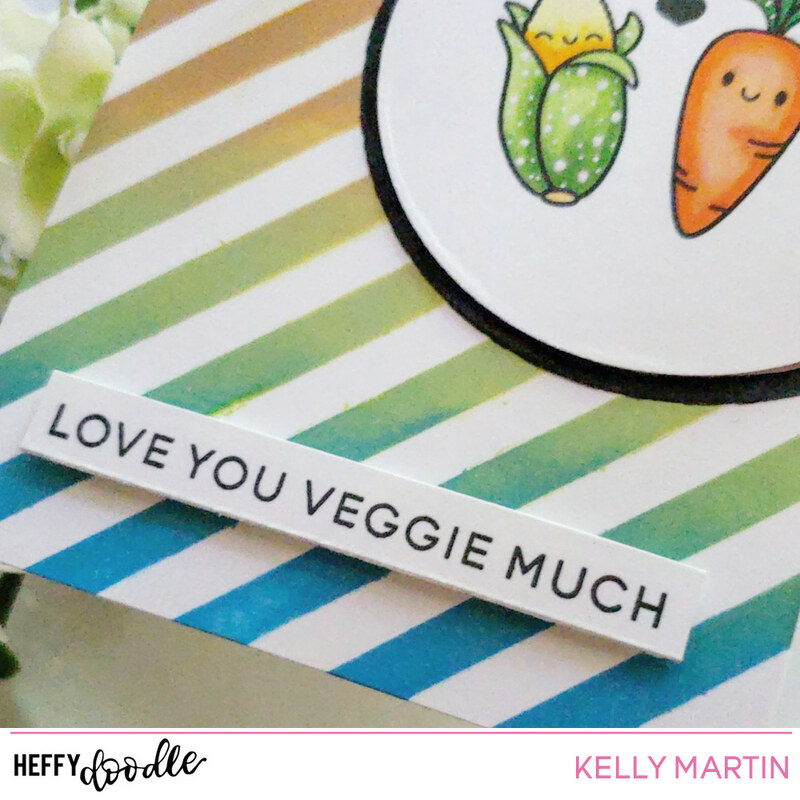 Love You Veggie Much! Made me laugh! Beautiful card with a fabulous color palette that is perfect for this theme. The veggies and pun are adorable. Thanks for sharing your creativity. How does Lesley make even vegetables look adorable? And I love how you made these small images the focal point with your great coloring and detail work. Thanks for sharing! All The Trimmings Release Blog Hop!